2. Click on your course. 3. 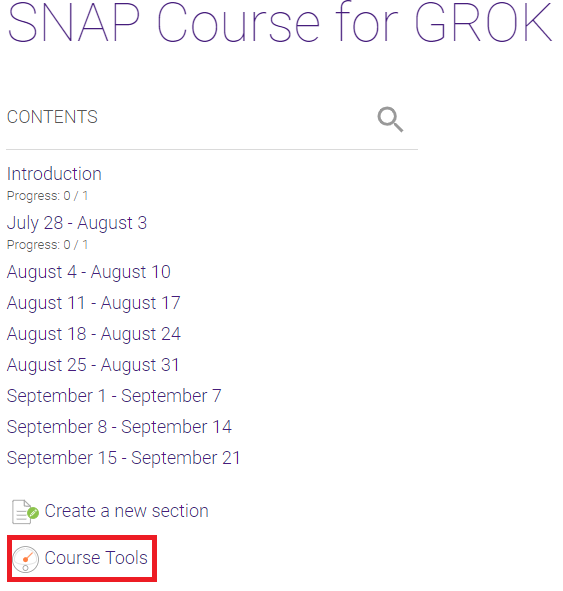 Click the Course Tools button. Note: Users can find their Moodle Mail and Gradebook here, as well as add or edit Blocks.